Airing on Nov. 12 at 8 pm ET on CTV, followed by a release on streaming service Crave TV the day following. Netflix will start streaming Long Time Running on its worldwide network outside Canada starting Nov. 26. When the Tragically Hip chose its name, the band's members never could have guessed the tragic consequence that came with it. Canadian documentarians Jennifer Baichwal and Nicholas de Pencier were given five days notice to sign-on before the Kingston, ON band pushed the envelope on a final tour with a lead singer sentenced to death with inoperable brain cancer. Sign on they did, and they headed off on a 15-date tour that opened in Victoria and closed in the band’s hometown of Kingston, ON, in August of last year. The result is an hour and thirty-seven minutes of cliché-free footage that shines the spotlight on five people caught in an impossibly difficult fix, and bound together on a journey that was perilously uncertain in its closure. Attending funerals for friends is difficult; writing a eulogy for the living is so conflicted it's hard to know where to start and harder still to know where to find the end. Baichwal and de Pencier avoid the obvious expected in this storyline and instead spin a web of vignettes that transparently captures the exceptionalness of its lead characters, and the disquieting eloquence they share in protecting the leading man. It is quintessentially Canadian—imaginatively understated in its storytelling, and strikingly exceptional in its delivery. It is also a documentary that consistently fails to hammer on our heartstrings, and repeatedly excels in making us feel for the lead characters caught in a duty-bound nightmare to do the very best they could on a journey bounded with a tragedy that was the antithesis of hip. It is a story about human kindness, braveness of spirit, and exceptionalness. 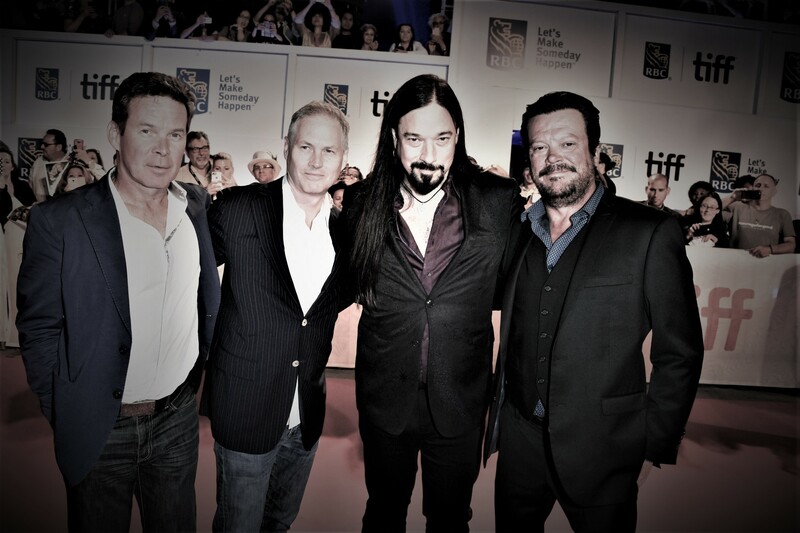 Surprisingly, what Long Time Running isn’t is a documentary that makes the Tragically Hip out to be extraordinary. This fact sparkles by itself like Baccarat crystal in the sheer decency of its portrayal of the characters involved—and the two directors who insinuate themselves into the storyline and bedazzle us with unvarnished bite-sized interviews and dazzling camera angles. The modesty of their endeavour, both backstage and on stage, is consistently engaging, absorbing and remarkable. What everyone in the camera’s eye and behind the lens sought to avoid were platitudes and banalities, and in avoiding the obvious they uncovered an intensity of humility that is honest and without the expected kit of hyperbole and hoopla. Long Time Running is a quiet study about finality told without foofaraw or a fawning desire to be a box-office success. The subtext is about a group of lads who grew up together in a friendship that turned out to be an extraordinary success. It is also about a youthful poet who happened to strike it rich as a lyricist with a songbook that spoke to a generation of Canadians of his era in the ‘80s and ‘90s and then connected with their post-teen spirit. As a broader brush stroke, it is the story about a Canadian band that made good without actually giving a thought to anything more than being the best they could be and, as it turned out, proved themselves to be exceptional. It’s all so sad and tragically real.